In 2016, I worked with Champagne expert and wine writer Peter Liem on crafting his opus on one of the world's most iconic wine regions. 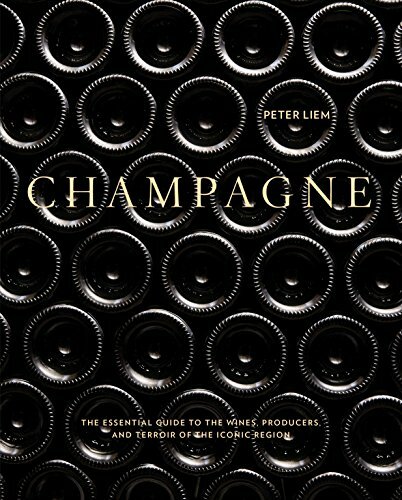 Since Peter had taken such a deep dive into the history and terroir of Champagne, it helped having a non-expert like me ask the basic questions to help the book reach a larger audience. One of the most striking things about this book is the collection of poster-sized vineyard maps, which are recreations of maps that have been out of print for decades. We also worked with an illustrator to create maps for each sub-region in the book, and the end result is one of the most stunning projects I've worked on. This book is the winner of the 2018 IACP Wine and Spirits Book Award and the 2017 André Simon Drink Book Award. Champagne Publication Date: Oct 10, 2017, with Ten Speed Press. "For Champagne lovers—and all wine lovers—here’s the book that changes everything. Peter Liem deftly tells the story of the real people and places that define one of the world’s most important wine regions. With impeccable scholarship and detail, he redefines Champagne as a living, breathing place, one in the midst of glorious transformation. This is sure to become an essential reference for one of the world’s most beloved wines." "I've known Peter for twenty years and his commitment to wine education through his writing is unrivaled in the industry. This book is a culmination of his commentary on every vineyard he has walked, every glass he has raised, and every relationship he has cultivated since he moved to Champagne. This is not only an incredible reference book for the region but also a refreshingly beautiful tome." "Get the flutes out: There's only one way to go about exploring this deep resource, and that's with a glass of bubbly in hand. It's complete with vintage vineyard maps, tips on serving and storage, and an in-depth look at the producers of the drink behind every engagement, birthday party and New Year's celebration."